Become a productive and confident Microsoft Outlook 2007 user. 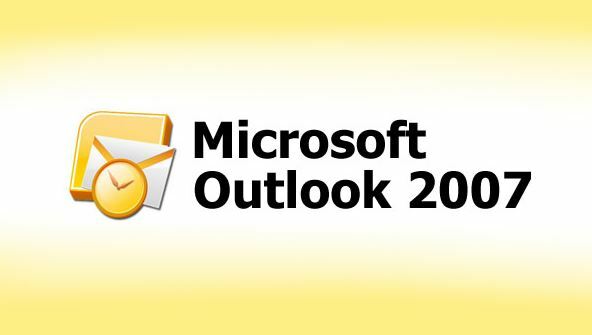 Want to learn Microsoft Outlook 2007 fast? Want to become a confident and productive user of this powerful program without having to memorise a lot of technical mumbo-jumbo? In this course, you'll see what's new in Outlook 2007 and get up and running quickly with the most important aspects of the program, from basic e-mailing to automating your work with rules. You'll learn security basics and how to perform maintenance tasks, like backing up your data. You'll even create a Google Gmail account for class assignments and personal use. You'll also interact with other students and an instructor whose Outlook books, articles, and online courses have helped thousands of people like you learn the essentials of earlier editions of Outlook. Whether you're new to Outlook or you've been using it for years, you're sure to learn something useful in every lesson. From the moment that you enrol in Microsoft Outlook 2007 Fundamentals you will become an integral part of our learning community. You will experience the perks of classroom studies such as chatting by the water cooler or sharing your opinion on a specific task, all in your own home.